Guest Post: Think You’re Reading the News for Free? Here’s what’s going on: websites frequently allow third parties (primarily online advertisers) to monitor their readers' activities and interests. These third parties use external servers that often employ what are known as “trackers,” or pieces of software connected to a “hidden web” that monitors users' activities. There seems to be a strange silence surrounding the ethics of native advertising, but online tracking has come under increased scrutiny from regulators and civil society groups groups. 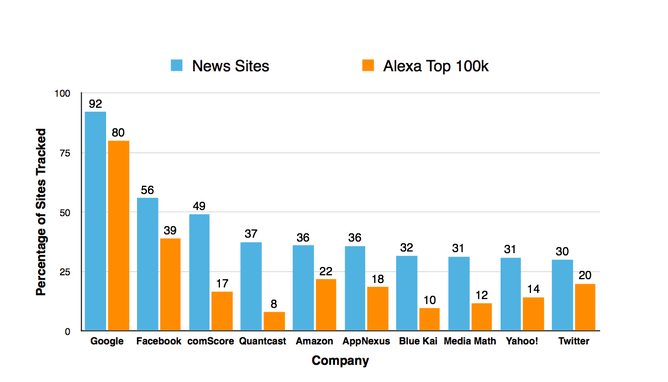 For our study, we were interested in understanding the extent to whichnews sites use trackers. The outlets facilitating this tracking include the most respected names in the news industry, coast-to-coast. 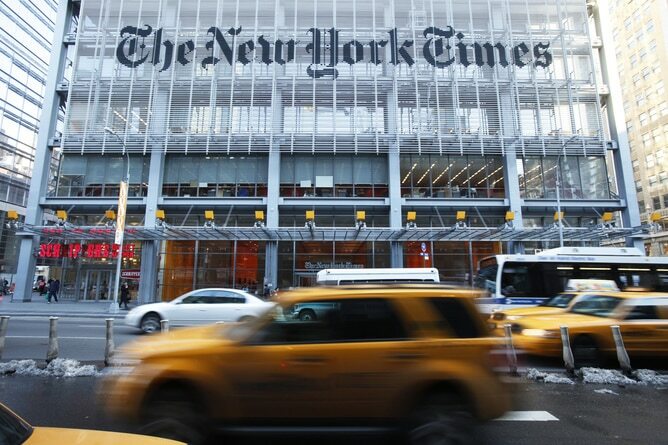 A visitor to The New York Times' homepage is potentially connected to a whopping 44 third-party servers, while visitors to the Los Angeles Times' website get their browsing history leaked to 32 external servers. And if you’re planning on checking the forecast on AccuWeather before heading out, you can expect to be connected to 48 third-party servers. The findings are troubling for a number of reasons. In addition to ethical concerns regarding user consent and privacy rights, excessive tracking is a major cause of news sites' slow load times as readers are forced to wait for multiple trackers to download. Picture a clown car driving into your living room and a nearly endless parade of marketers hopping out and competing with each other to peek over your shoulder while you surf the web. More troubling, even those who use privacy-friendly search engines like DuckDuckGo and avoid social media aren’t spared from the internet giants' tracking, which often occurs silently on the sites they end up surfing each day. While many users may be resigned to the power these companies have over their information, regulators across the world have continued to investigate and penalize them for deceptive and unethical business practices. Indeed, there are signs that the industry may continue ethically dubious advertising practices by increasing their focus on native advertising. Some commentators are advocating for newspapers to just develop better advertising – with “better” too often meaning fewer animations, not greater respect for reader privacy. Others have, once again, called forpaywalls or some type of subscription model. And then there are pessimists who question whether any profit-driven, commercial model of digital journalism will ever provide the quality of news and information that a democracy requires. Amazon Secretly Building an Air Cargo Arm?